Home » Listings » 1604 Riviera Ave. Ideal Windward Circle location between the beach and Abbot Kinney Blvd. 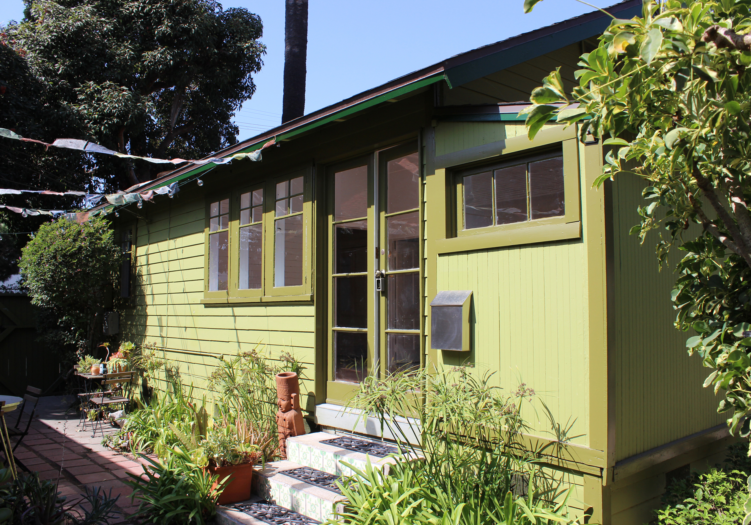 Newly painted light and airy one bedroom with full bath in a charming 1922 Craftsman quadplex with gated access. Refinished hardwood floors in living room, bedroom and kitchen and new octagonal pattern linoleum in bath. Living room has ceiling fan, skylight and door leading to a bonus room that can be used as an office, storage or even a meditation area. Bedroom has hanging and shelf closets, new wall heater and door leading to private side yard. Kitchen has a new stove, new refrigerator, double sinks, ceiling fan, window for air circulation and good storage with cabinets, shelves and spice rack. Bathroom has a new sink, new toilet and new storage unit. Common outdoor seating area with one neighbor. Shared laundry facility. All utilities included. Street parking.